MajorLag had the most liked content! Retromags Presents! 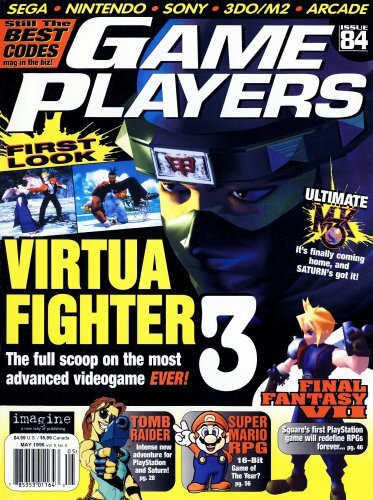 Game Players Issue 084 (May 1996) Database Record Download Directly! Scanned By: marktrade Edited By: MajorLag Uploaded By: MajorLag Subscribe to our New Release Feedburner email! 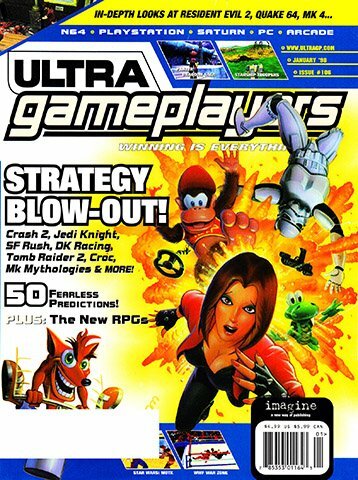 Featuring a two page preview each of Panzer Dragoon Zwei, and Resident Evil, Cheech Marin breathing fire, and an ad where a man shaves his head in front of a CD. I miss the 90s. So glad to see this. Thanks E-Day! Another collaboration of new edits on an unreleased raw scan from one of our fallen homies. So cheers to MajorLag, pour one out for marktrade, and download this mag! Here it is: https://drive.google.com/file/d/1RZhonkuwgE1xKHPwLS-Z84dfBwbcryf7/view?usp=sharing Let me know if there's anything I should fix. I've got February 1996 (#81) just about done. I was going to upload it now, but I noticed some minor issues (gutter blemishes and scan lines mostly) I missed when reviewing the cbz, so I'm going to go back and fix those. Process was much less tedious this time because I wrote quick and dirty program to streamline my straightening workflow. I made an attempt at improving the images as suggested by kitsunebi77, but I don't really have an eye for these things so someone will have to tell me if I screwed it up. I kept the pngs from before that, so they can be re-adjusted if necessary. Rescued from unedited abandonment at archive.org 64 comes one the lost files of marktrade 64. 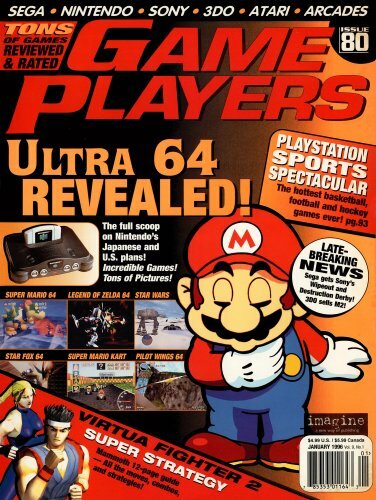 Check it out 64. You won't regret it 64. It's Ultra 64 64. Where should Retromags fill holes first? Good notes. Since it was my first time, and since I don't have an eye for things like saturation, white levels, and color distortion, I was focused on getting it to the bare minimum of being straightened and cropped (except for the cover, which had some rough spots so I took the time to clean it up). Honestly even with that there were times I wasn't sure if the page was actually crooked or it was just that 90s style. Also I don't have Photoshop and just made do with Paint.net. It had been so long since I'd started the project (because I was lazy) I'd forgotten about the height standard, which I had intended to circle back on and batch. Stupidly, I saved all my output in jpg, no idea what I was thinking there. I have no problem with using your version. I just want to get the mags preserved. I have the other archive.org dumps from that set, so I'll probably start on another one in the near future. Anything to add to this list? straighten and crop (saving to png this time) keep an eye out for page ordering issues beware of gutter blemishes (I think I'd started fixing these with the stamp tool at some point) check and adjust white levels/brightness/saturation (any tips on how to tell 'good' from 'not good' could be helpful here) height should be 2200-2500px Is there a standard for jpg output quality? 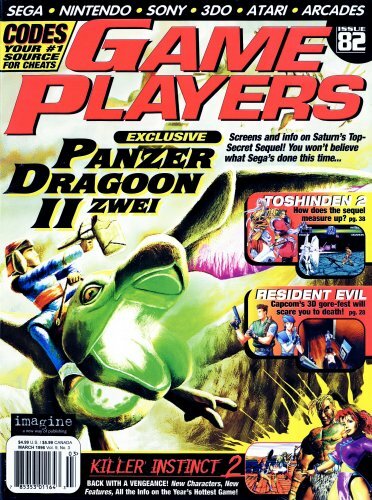 Game Players Issue 80 January 1996.cbz The host I used will delete this after 30 days. Ok, so I had some surgery recently and consequently some downtime from my usual hobby, so I've finished basic editing on GP80 (Jul 96), at least I think so. Where do I send it for review? Since it's my first edit job I expect there might be some issues. are there too many sucky modern retro games? MajorLag replied to orthicviper's topic in Retro Video Gaming! You know, I couldn't disagree more about the 32-bit era early 3D look. It's probably all nostalgia, but there's something about low-poly, low-res 3D that I think is really neat. Maybe it exists in its own kind of uncanny-valley where the effect is more surreal than disturbing, I don't know. The affine texture mapping I could do without though. Hell, I'd even be up for a modern take on absurdly low-poly flat-shaded EGA era 3D aesthetics. I guess I'm weird like that. I know I haven't done my part. 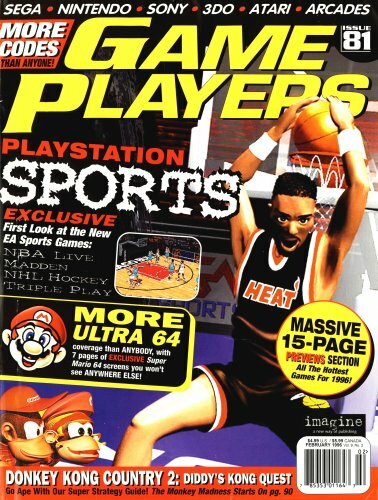 I downloaded some unedited Game Players and began to do some basic cropping+rotation work, but only got through a little more than a quarter of GP80 (Jan 96). It's not even really hard or all that slow, just tedious. I've actually been thinking of making a quick bit of software to streamline the process, but, well, I've been lazy about it. I hope so. Besides, the way I figure it, they can always re-edit my results to alter the subtler things right? And besides, no one else is stepping up, and I would like to see all the GP and UGP preserved. I've already snagged GP80u, so we'll see how long it takes me to get through that before I make any kind of commitment to the rest. If I can get away with just rotating, cropping, and a little cleanup before packing it into a CBR, then that's what I'll do. I'm pretty useless when it comes to subtler stuff like color balance and contrast adjustments.